Home » Blog » What are gifographics? Move over selfie, gifographic is the new portmanteau in town. GIF-image infographics are a new web phenomenon, and they can help your business make a big impact. Does ruling the internet sound like your kinda thing? Here are the basics. Okay, so gifographics are the love child of two web-famous millennials, the GIF and the infographic. GIFs came about in 1987, when CompuServe introduced the format. Short for Graphics Interchange Format, GIFs are animated images. They consist of frames and have no sound. GIFs have become extremely popular, commonly used as humorous reactions on social media and blogs. Infographics, on the other hand, are a graphic representation of data. 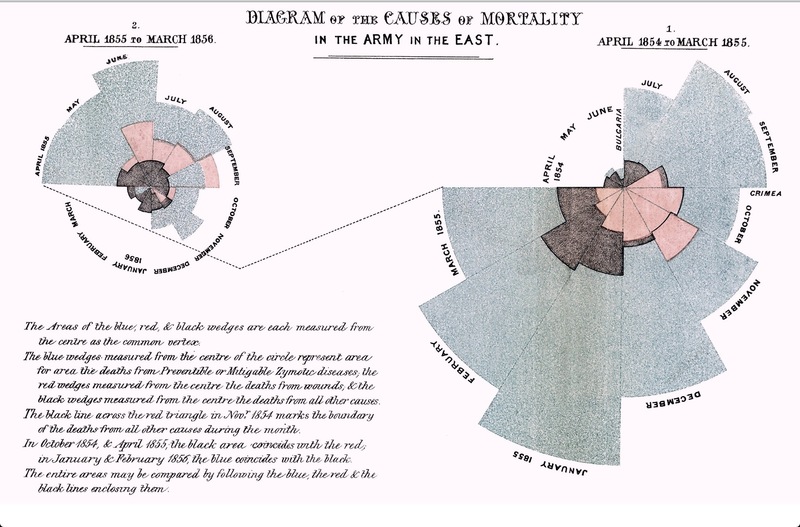 Technically they predate the web by yonks – Florence Nightingale used coxcomb charts to present the number of deaths during each month of the Crimean War. Nowadays, infographics are used online by academics, brands, marketers, scientists and other savvy beings. Gifographics followed the recent popularisation of infographics, and are pretty much self-explanatory. They’re a mixture of the two – animated infographics, moving images that convey data. That sounds great and all, but how can they help my business? Gifographics display information in a way that’s both fun and innovative. What more could a browser want? They stand out from commonplace charts or diagrams. You want to catch people’s eyes and you want them to remember the information. They’re shareable! Internet users share engaging and exciting things. The more shares your gifographic gets, the more hits your site gets, and the higher you rank on search engines. As of now, gifographics are relatively rare. There is no Wikipedia page for gifographics. It’s clichéd but true: the early bird gets the worm! Gifographics make numbers and other info dynamic and engaging, in a way that infographics can’t. A static image has limits. Because you’ve always wondered, right? A great example of how video footage can be used to create a compelling gifographic. If you’re a business owner, this gifographic will be handy. This fun, yet understated gifographic breaks down the search engine for you. Thank us later.